"A great evening. We are so fortunate to be here to have concerts like this available to us." "The music is still ringing in my ears. Such excellence!" "It was a pleasure hear the great selection of music and the choirs singing so beautifully." 31st Y e a r i n N o r t h f i e l d ! I Cantanti (The Singers) is a mixed 36-voice community ensemble from Northfield area. 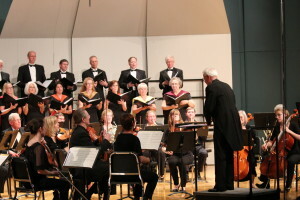 Founded in 1988, the mission of the choirs is to provide high quality, authentic performances of all styles of choral literature, from Renaissance to Contemporary. Although membership is gained by audition, it is a true amateur ensemble in that neither singers nor director receive any monetary compensation. The ensemble exists for the love of choral singing and has attained a solid reputation of excellence. Le Donne is a 32-voice female counterpart to the mixed voice chamber choir. The ensemble has shown great versatility in performing works of Brahms, Mendelssohn and Warlock from the traditional repertoire, and Cesar Carillo, Libby Larsen, Jeffrey Van and Steve Heitzeg from contemporary literature. A great evening. We are so fortunate to be here to have concerts like this available to us. The music is still ringing in my ears. Such excellence! It was a pleasure hear the great selection of music and the choirs singing so beautifully. The music was absolutely beautiful! 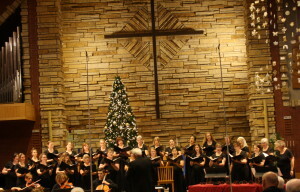 New to the area, we thoroughly appreciated our first I Cantanti concert last night. It was an inspiration. What gifted talents you had on stage!